This prototype app was developed and designed by us in an attempt to show how apps can enhance a learning experience in schools. The long-term goal is to create interactive learning material for the entire school syllabus. 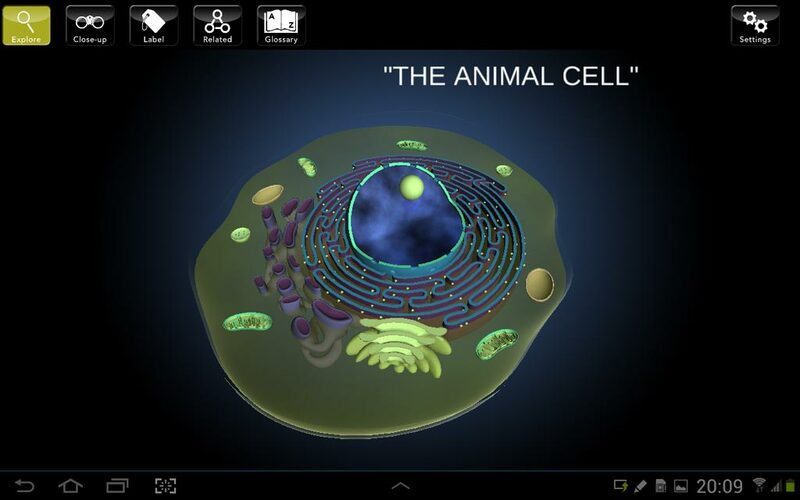 This prototype currently only contains the Animal Cell, which can be explored in 3D. 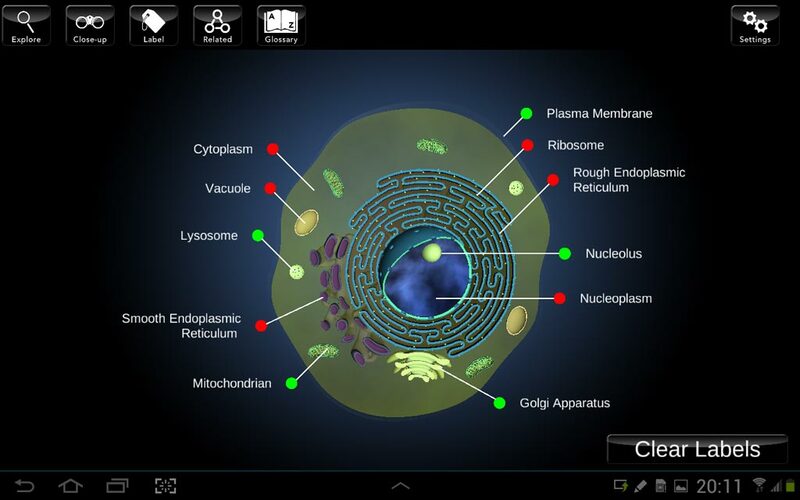 A "Close-up" mode displays a list of all the organelles in the animal cell. Tapping on an organelle in the list will zoom into the organelles of the cell with a description of the function of that organelle. There is also a "Labeling" mode where students can fully label the cell by selecting names from a list, as well as check their answers to see if they were correct.